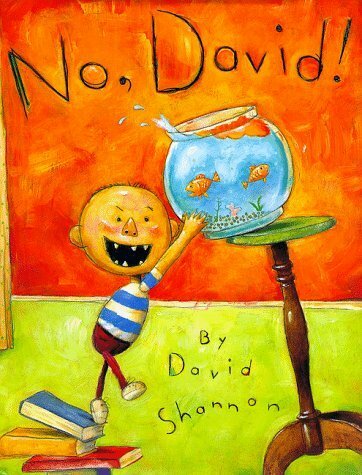 When author and artist David Shannon was five years old, he wrote a semi-autobiographical story of a little kid who broke all his mother's rules. He chewed with his mouth open, jumped on the furniture, and he broke his mother's vase. As a result, all David ever heard his mother say was "No, David!" Full color.